On the morning of December 17th, 1903, there was a consistent wind blowing in from the north along the coast of North Carolina, and at about 10.30am Orville Wright lay down on his plane’s wing and brought its engine to life. Orville Wright then launched himself into the air, and history was made with the first manned flight, which lasted 12 seconds and covered around 120 feet. Three more flights were made that day, with the record flight lasting 59 seconds and covering a distance of 852 feet, and the Wright brothers, inventors and aviation pioneers, were credited with inventing and building the world’s first successful airplane and making a controlled and sustained heavier-than-air human flight. From the time of that first glorious launch in 1903, man became fascinated with powered flight and the days of ballooning came to an end. The Aero Club, founded in 1901 by Frank Butler, his daughter Vera and the Honourable Charles Rolls (one of the founders of Rolls-Royce), was at that time concerned with air sport in the United Kingdom. It originally focussed on ballooning, but following the Wright Brothers’ triumph it embraced those Magnificent Men and their Flying Machines. It wasn’t until the 16th October, 1908, that Samuel F Cowdery became the first man to fly an aeroplane in Britain. Later, on the 29th December 1909, Samuel further became the first man to fly non-stop between Liverpool and Manchester. On 7th June, 1910, he earned the Royal Aero Club Certificate number 9 with the help of his newly built aircraft which later won the Michelin Cup for the longest flight made in England, remaining in the air for 4 hours, 47 minutes on the 31st of December. The course for the distance flights should be marked out by two posts no more than 500 metres (547 yards) apart. After each turn round one of the posts, the pilot must change the direction of flight when going round the second post so the circuit is an uninterrupted series of figures of eight. The method of alighting (landing) for each of the flights should be with the motor stopped at, or before, touching the ground. The aeroplane must come to rest within a distance of 50 metres (164ft) from a point previously indicated by the candidate. Until 1911 the British Military did not have any pilot training facilities, and as a result most of the early pilots were trained by members of the Royal Aero Club, with many becoming members. By the end of the Great War, 1914 – 18, more than 6,300 military pilots had taken the Certificate. Prior to 1917 it was a requirement that a pilot had to have a Royal Aero Club Flying Certificate prior to being granted a commission in the Royal Flying Corps or Royal Naval Air Service. 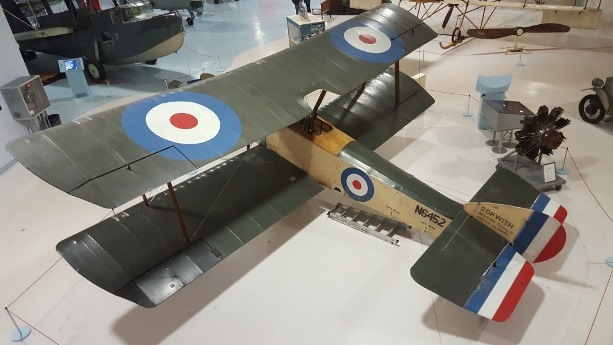 Many of those listed in the collection therefore saw service in the Aerial Forces during the First World War. Why not log onto Forces War Records and search our vast collection to find out more about your own ancestor? 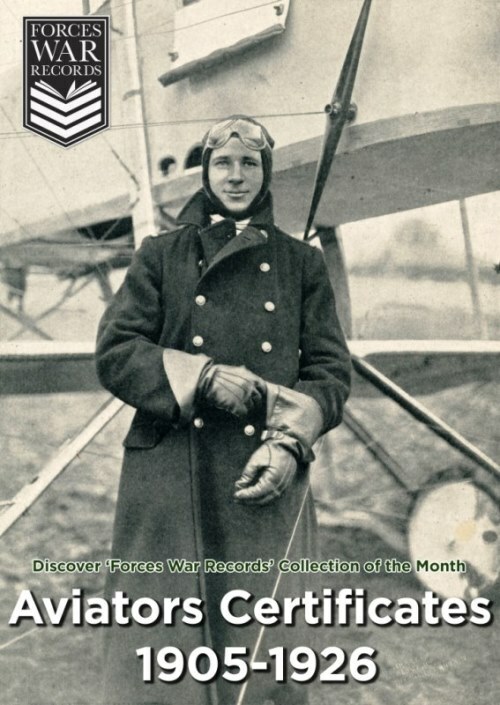 Your family hero may be listed among the Aviators’ Certificates 1905-1926, just waiting to be discovered.